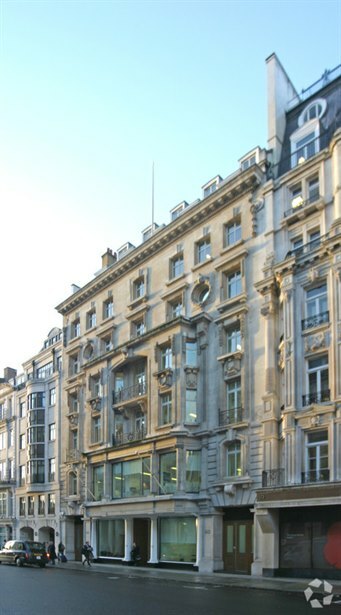 50 Pall Mall is a prominent building located in the heart of St James’s, on the northern side of Pall Mall. St James’s is recognised as one of London’s premier multinational business locations and is home to major corporate companies, private banks , financial service companies and numerous professional organisations. The property is a short walk from excellent transport links including Green Park, Piccadilly Circus, Charing Cross and Embankment. The available accommodation comprises 6,378 sq. ft of office space on the Ground and 1st floors. The building benefits from an impressive contemporary manned reception, together with a full height glass atrium providing natural light to all floors. The Ground floor also benefits from exclusive access to an internal balcony within the glass atrium which provides impressive break out space. First floor - £87.50 per sq. ft. Ground - £75.00 per sq. ft.
A new lease direct from the Freeholder for a term to be agreed. First floor – c. £39.15 per sq. ft. Ground – c.£37.45 per sq. ft.